Best Bets of Cheltenham Festival 2018. 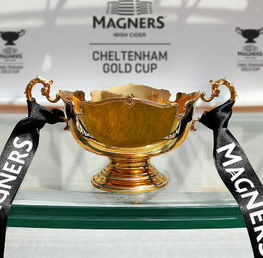 It's Cheltenham Day! 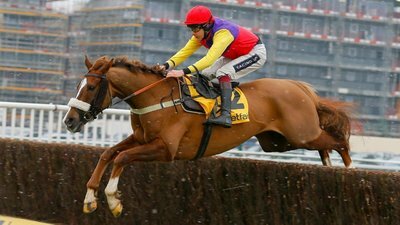 With just hours remaining to the mighty roar signalling the start of the Sky Bet Novices Hurdle, you’ve probably got your head buried in the form guide, working out those ever elusive winners for The Cheltenham Festival! 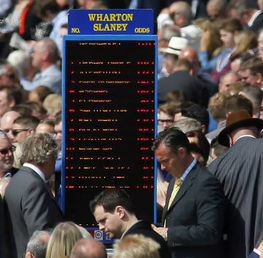 However, with the ground softening up under the latest deluge of rainfall, we thought it might be a wise idea to sift through the cards and check out some decent bets for horses who love a bit of cut in the ground. First off though, a handicap chance running tomorrow with a hefty price and established heavy ground form. This Nicky Henderson 8 year old always runs consistently although his last run where he pulled up in The Welsh National should be ignored. Henderson has always considered Beware The Bear to be a Grand National type in the long term so the extended 3 mile trip in the Ultima Handicap Chase shouldn’t inconvenience him. He’s a guaranteed stayer and with a clear run in the testing conditions, he looks like a decent each way proposition. Head to Betfair or Paddy Power for a 5 places paid 16/1 best. There’s no trainer like Venetia Williams when it comes to getting behind horses who love it in the mud. 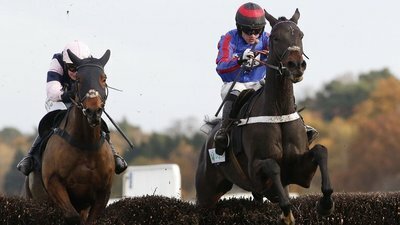 The Herefordshire based handler has become a bit of specialist with the mud larks in recent years and her Yala Enki entry for the Ultima Handicap Chase comes into reckoning based on his hammering of the field in atrocious conditions at Haydock last time out, beating an exhausted Blaklion by 54 lengths. Currently being backed heavily but still available at 16/1 with 5 places paid at Betfair and Paddy Power. Sizing Tennessee has shown some very decent form this season, mostly noticeably getting a close second to Yanworth in a novice chase at Cheltenham at the start of the year. The weight was clearly a burden in a handicap following that but he is clearly one of the classiest entries in this marathon trip over 4 miles and he looks the type to stay in the testing conditions. 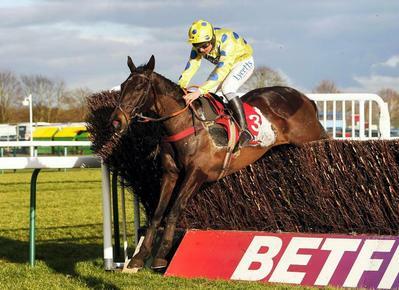 William Hill at 9/1 or extended places (1-2-3-4) for each way thieves at 8/1 with Coral and Betfred. This developing novice chaser has had a mighty consistent season and looks to have the scope to improve to give the likes of Black Corton and Presenting Percy something to think about in the RSA Chase. More crucially, he is an established cut in the ground enthusiast. He has been the subject of some serious ante post speculation having been backed down from an original price of 100/1 for this race. Best at 12/1 with William Hill. This Denis O’Regan trained novice hurdler has had some decent runs over in Ireland in nothing but bottomless ground and he might be the one to consider at a huge price in a slog to the line in Wednesday’s hugely competitive Coral Cup. A tempting 33/1 and 5 places paid with Betfair and Paddy Power. Another one with consistent form over heavy going who will appreciate a truly run race. Paul Townend as jockey booking is a plus. 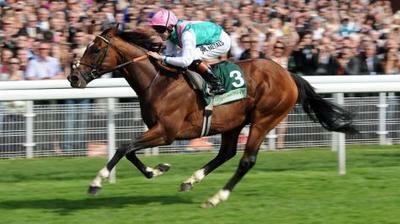 25/1 available with BetVictor who will pay up to 5 places in this race. Colin Tizzard’s staying powerhouse acts on any going but did run extremely well in testing conditions at Newbury on his seasonal reappearance. 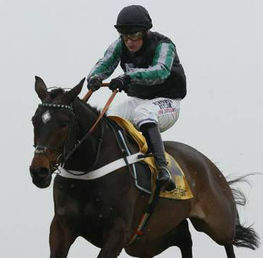 Any horse who can win The Chepstow Welsh National under top weight must also be considered a king of the mud larks. Native River should cope better with the conditions than chief rival Might Bite. 11/2 still available at William Hill. 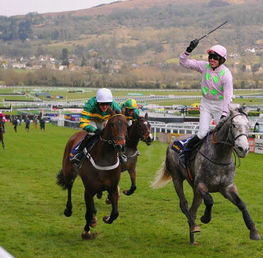 Good luck with all Cheltenham Festival bets!